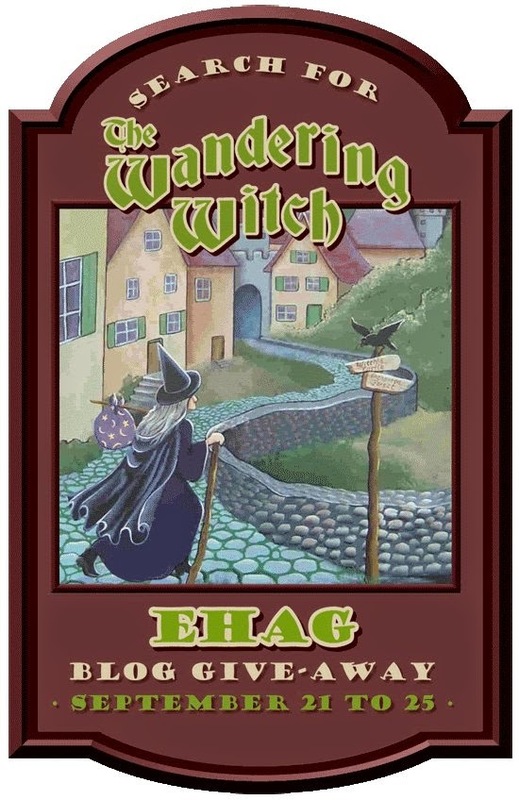 Happy Holidays: EHAG - Search for the Wandering Witch. EHAG - Search for the Wandering Witch. Ethel was just by to remind me to let everyone know that she will be out and about from September 21st to the 25th. I told her that I was going to do just that and not to worry, in fact I have been getting last minute pictures together for some postings. I have been at my computer more or less all day dressed in my black pants, orange tee shirt and orange socks, topped off with my brown shirt the colour of a dried autumn leaf. "I like it," was her response, "you look like a pumpkin!" We both laughed and then she was off to remind everyone else about this coming weeks goings on. When midnight comes along click on this sign to start your hunt. You had better go now I have a lot to get ready. Happy hunting everyone, I hope you find Ethel. I almost forgot this is my donation showing the front and the back. It is a miniature portrait rattle called "Dancing by the Light of the Harvest Moon". Black Cat has the original rattle. That's him dancing with some autumn leaves. 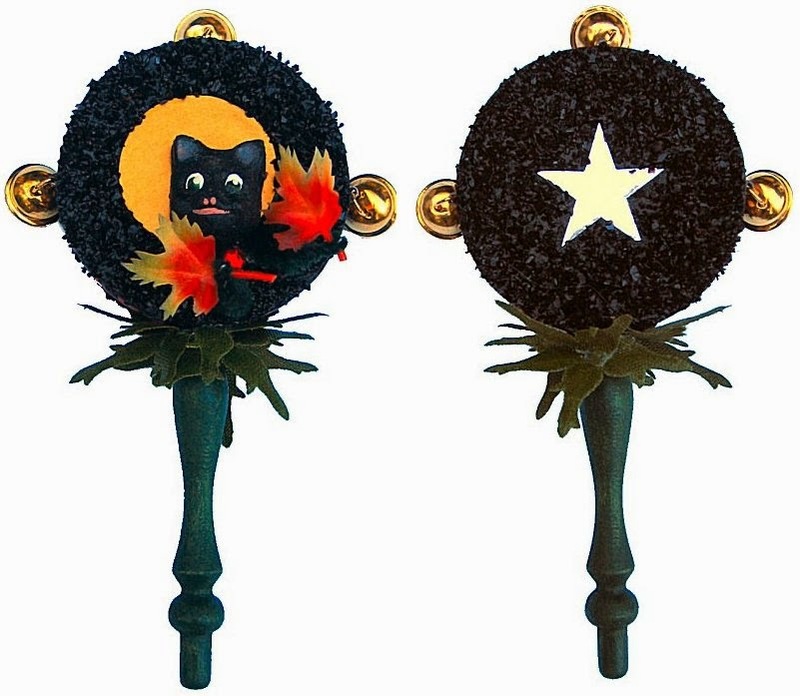 I always make two of the rattles one for my client, this time Black Cat, and one for me to sell or in this case give away. Bye now, I must get to work. Love you rattle...Happy Halloween...I've signed up as a follower. The Queen of Nostalgia has the Rattle!